Anywho.. There’s lots to catch up on, so let’s see what we’ve been missing over the last few months.. But the diamond in the brutal appears to be Amon Amarth‘s Deceiver Of The Gods. It cracked the top 20 of Billboard’s Hot 200 albums chart. Being the nineteenth best selling album in the US is pretty damn good for a Swedish death metal band, even if it is melodic death metal. Everyone that appreciates metal enjoys this album. Many are calling it the best album of their twenty or so year career. You’ve probably already heard it, but if you haven’t, put this down and go do that now. Come back when you’re done. 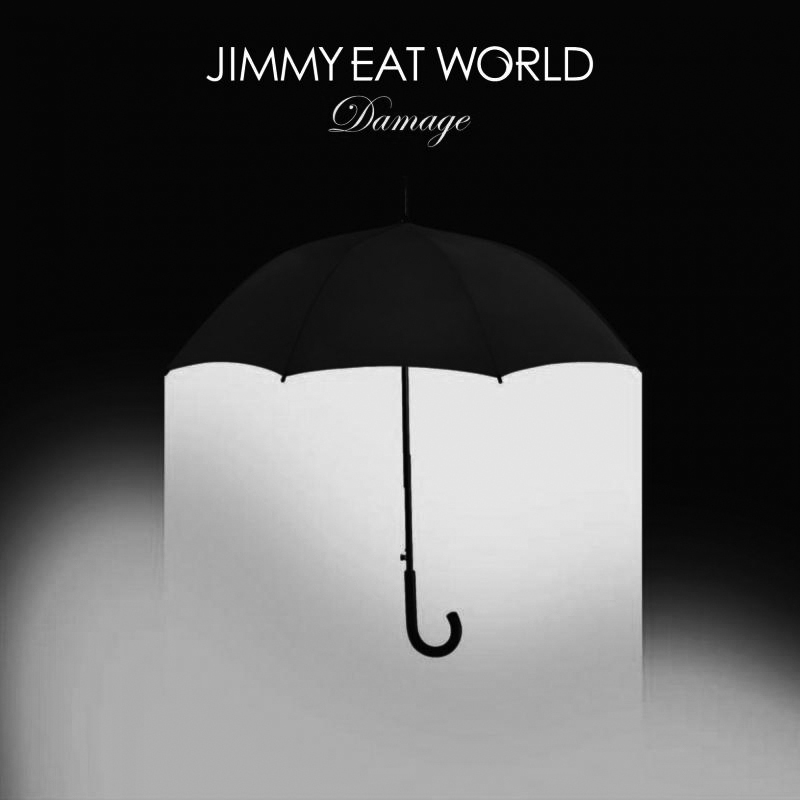 If you haven’t heard Jimmy Eat World‘s new single “I Will Steal You Back” you’ve been living under a rock for the last few months. The single was released in early April and is playing on a radio near you. When I listened to the new album, Damage, I went “oohhh.. thaat song..” Now every time I leave the house I notice it streaming out of retail establishments and blips of it as I zip past the modern rock radio station on the FM dial. No worries though; it’s a great song! It’s poppy, it’s rockin’, it’s singable, it’s upbeat, and it’s a nice love song, right? Uh, yeah but not that last one. This song is horribly depressing. The lyrics you might not be hearing in the chorus are: “How slowly we built the walls / years they pile up / I will steal you back / funny how the smallest lie / might live a million times / I will steal you back.” Ouch. This whole album is like that. Press play and dance along with a happy little smile, or sit and really listen and try not to let any of it hit home too hard. But this is exactly what they were striving for. Frontman Jim Adkins says this about it: “I would describe it as an attempt at making an adult breakup record… I’m 37 and the world around me is a lot different than when I was writing breakup songs in my 20s.” Well, good job then guys! I can’t really imagine anyone not getting some enjoyment out of this album. Give it a listen. Last year Omar Rodríguez-López put his pet project, The Mars Volta, on hiatus and formed a new band, Bosnian Rainbows. A few months later it was announced that The Mars Volta was done. Fans of The Mars Volta were not pleased, but Omar is happy to now be in a collaborative band rather than in control of an entire project. The band also includes Deantoni Parks (drummer from The Mars Volta), Teri Gender Bender (Le Bucherettes) on vocals, and Nicci Kasper on keyboards. Bosnian Rainbows’ self-titled debut is pretty friggin’ awesome. I feel no loss for the Volta and I will follow this band eagerly. Miss Gender Bender’s deep breathy vocals make this slightly gothic, slightly experimental art rock almost perfect. Influences from Siouxsie And The Banshees and Yeah Yeah Yeahs can be heard and all the lyrics are dark and sad and mostly about death and loss. Fans of gothic post-punk art rockish stuff should definitely grab this album. Pretty Lights has released another album of mildly dubstep infused, soulful triphop. I first discovered this guy when I was browsing through the artist lineup before Shambhala Music Festival last year and fell in love with a trilogy of EPs he released in 2010. His music is full of organic sounds and samples, rather than throbbing electronic noise. It’s very easy listening EDM. Very groovy. For A Color Map Of The Sun rather than borrow samples from wherever, he got a bunch of musicians together in a studio and recorded live sessions of music that he had composed. Then he had those live recordings pressed to vinyl and sampled from there. As a second disc for the album he’s put together a selection of cuts from the live studio sessions. This second disc is as good as the first. It’s soulful and jazzy and makes you wanna move. The album as well as all of the rest of Pretty Lights’ music is available for free download from prettylightsmusic.com but this music is so good you’ll want to donate, which is encouraged. Fear not, you can also order the beautifully packaged 2-disc set directly from the site as well. Last year, somehow, The Orb released an album that completely slipped through my radar. That album was a collaboration with the reggae legend Lee Scratch Perry. They called it The Orbserver In The Starhouse. It would have continued to have gone unnoticed by me if it hadn’t been for this June’s release of its direct sequel, More Tales From The Orbservatory. As an old fan of the ambient techno group from back in the 90s, I was excited to see a new album and, knowing they did a stellar job of their work with David Gilmour on Metallic Spheres a few years back, I was happy to see “featuring Lee Scratch Perry” on the cover. Right from the opening track, I was carried away to other places where I was not. The opening track “Fussball” gaily took me to watch children play football or kickball. During the next track, “Africa,” everything that I knew about Africa coalesced into one beautiful five and a half minute dream. The entire first half of More Tales From The Orbservatory, through “Don’t Rush I,” is everything I expected from this miraculous pairing of talent. The second half is an instrumental version of the first half and is equally beautiful. Sadly the preceding album, The Orbserver In The Starhouse, is not nearly as good. To save space and tears I’m not going to get into it. It is the past. This current release more than makes up for it. David Lynch released an album so terrible I questioned my own memory of a reasonably interesting release from him just a year or so ago. It turns out that while David Lynch is a brilliant and amazing filmmaker, he’s a terrible musician who had a small case of beginners luck. His debut was “interesting” at best. It was at least an ernest attempt to experiment with a new media, and it produced some very cool and entertaining moments. This sophomore release is simply a bunch of bad songs. It could possibly be that he tries to sing too much in this album. I just can’t take 50 minutes of David’s whiny voice. But then, I can’t stand Serj Tankian (System of a Down) either. I think I get what he was going for, as the album is called The Big Dream and all the music is kind of slow and dreamy, but that just makes his voice stand out even more. It took a lot of effort to listen to this album once through, and now these songs are getting skipped when they play on shuffle. This could be the first album I delete since Metallica and Lou Reed’s Lulu collaboration. Pura Vida Conspiracy is the brand new album from Gogol Bordello that almost everyone is calling their best yet. This album adds a little more latin influence to the eastern European “gypsy punk” sound that Gogol Bordello has perfected, and it fits nicely. Pura Vida Conspiracy is less political than their previous albums and more about personal growth. Frontman Eugene Hütz says, “it seems like pure life, which is pura vida in spanish, is a conspiracy to people.” “Dig Deep Enough” is an upbeat, uplifting song about doing your best, never giving up and enjoying every moment. And there’s a deep metaphor for life in “Name Your Ship” as the chorus says “it’s the way you name your ship / that’s the way it’s gonna row.” This album is for everyone who loves life enough to party through the hard times. Bring your own vodka. Well, since I’m out here in Vancouver, I never got to work very closely with them, so I don’t have any “crazy stories” that begin with “well, that one time…” But it really has been a blast. I love the encouragement and positive feedback that I’ve gotten from them, and the free reign to do pretty much whatever the hell I want with my column. I would like to thank them for the opportunity and experience they’ve given me through the last 3 years. I’m sad to see them go.